Posted October 2nd, 2018 by Kari Burchett & filed under News. 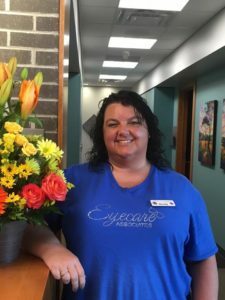 Becky has worked for Eyecare Associates as an optometric technician since 2014. We took the opportunity to let our patients get to know her better.